The Press of Robert LoMascolo: Online . . . 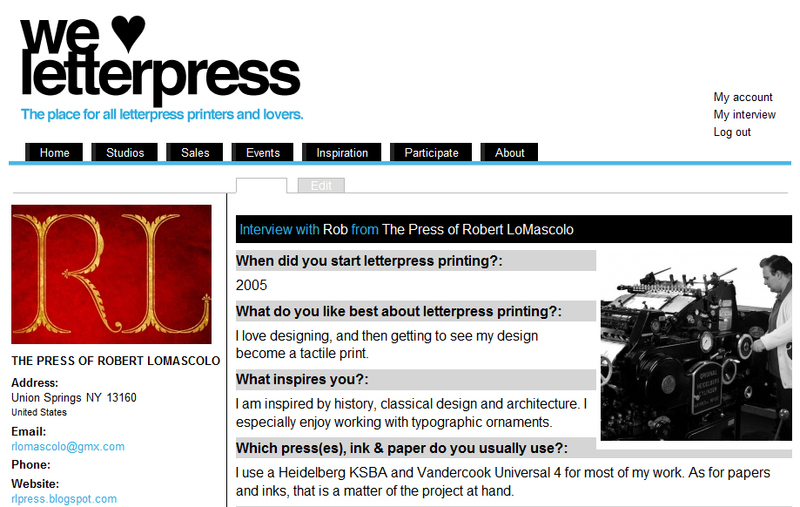 The Press of Robert LoMascolo is now on We Love Letterpress. Take a look.